Cal Crutchlow said he was "swearing in my helmet" during the Japanese Grand Prix, as race leader Andrea Dovizioso's strategy allowed several riders to catch up with the leading group. 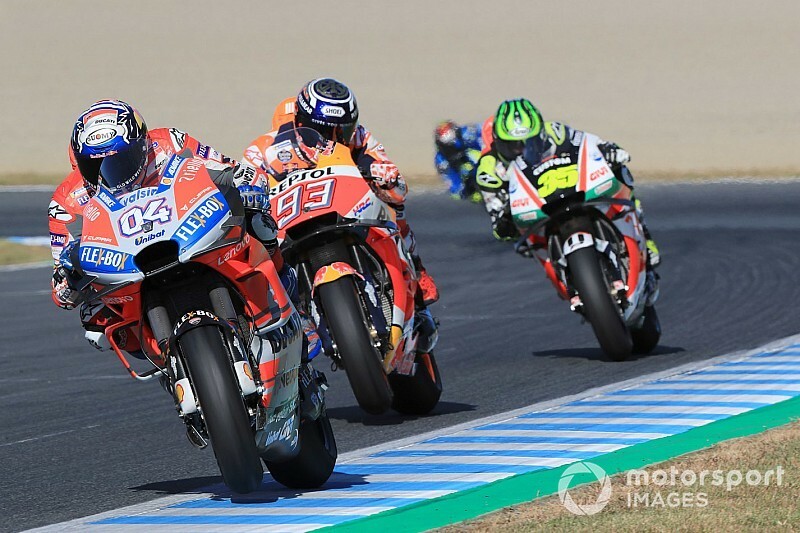 Crutchlow spent the majority of the Motegi race grouped up with leader Dovizioso and Marc Marquez, even taking second place from the latter for a handful of laps. The trio established an early lead, but Valentino Rossi and Suzuki duo Andrea Iannone and Alex Rins all caught up with them eventually. Crutchlow said this was caused by Dovizioso dictating the pace in front, and admitted he was "swearing in his helmet" as he had felt the top three had to the pace to build a gap over the rest. "If I would have got a run at him [Dovizioso] I would have tapped him at the leg saying, 'come on, push push' because we could have used the tyre then and broke the guys behind, I think," said Crutchlow, who finished second after Dovizioso crashed out. "I was swearing a little bit in my helmet, not at him, just in general at the situation." "My concern was the guys coming back. There was a group 1.7s behind and in three laps they catch us because they [Dovizioso and Marquez] slow down the pace." Crutchlow said that mixing up the pace has been Dovizioso's strategy in the past couple of races, and explained that it was difficult to overtake the Ducati even when it was on a slower lap. "It is just a pattern you see. Even when the Ducati does a slow lap, the way it accelerates off the corner is really strong so it is really difficult to get a run past them. "You just look the laptime in every race. He can do [1m]45.8s, [1m]45.7s and the next lap he does a [1m]46.5s, it is a big difference. "Now we sort of see the full pattern, we know we have to attack him even more. 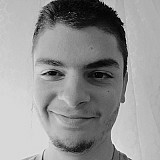 "I don't know why they do it, I don't know if it is him, but that is their strategy. "That was why I was trying to get to the front. Even when he does an average laptime, it is so difficult to get a run to get past him. Then he ramps up the pace again." 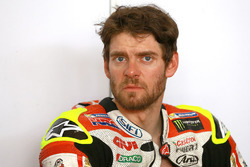 Crutchlow could only hold second place for two laps before Marquez took it back. He said he didn't pass Dovizioso at the time because he was "concerned" about riding at the front, but admitted that in hindsight he would've been better off leading. "The race was a strange one. I felt good, the problem was, I should have went for the lead early on. "I was a little bit concerned about our power strategy, how I would press buttons alone on the bike. "I decided to sit behind Dovi, I passed Marc and I thought, if I can pass Dovi, then the two can fight it out and they are okay. "Then I was looking to pass Dovi and Marc passed me back. I thought 'okay, now leave them to it a little bit'. "I was still close to Marc but I wanted to keep half a second, simply because I did not want to run along him in one of those braking zones in Honda's home grand prix, with Marc challenging for the title."